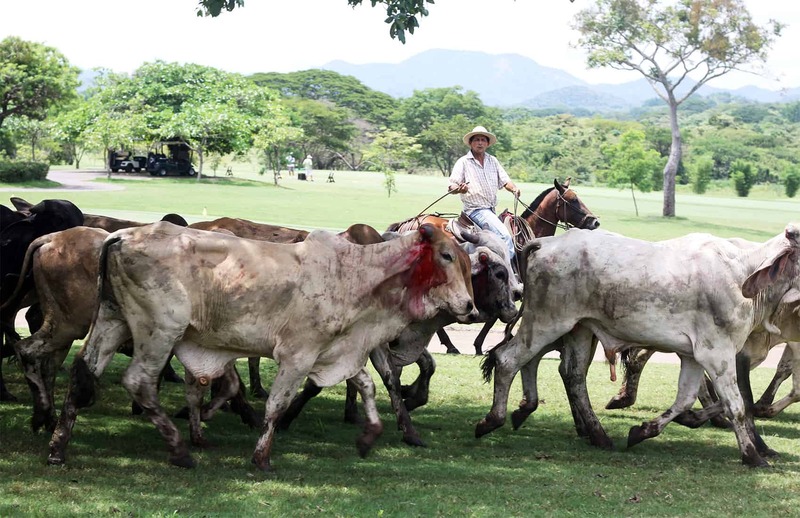 Costa Rica’s cattle industry meets all health requirements for exporting to Russia, according to Russia’s Federal Administration of Veterinary and Phytosanitary Control. The approval, currently granted only for meat and milk powder, was issued after Russian experts conducted evaluations of infrastructure at local export companies and investigated the country’s vigilance of animal diseases, Costa Rica’s Animal Health Service (SENASA) said. “This is a great achievement for the meat and dairy sectors of our country that now are allowed to enter a market as big as Russia,” SENASA’s Director of Food Safety Olivet Cruz said. The agency also confirmed that two local companies already received SENASA’s authorization to start selling to Russia. Ganaderos Industriales de Costa Rica received the approval to export meat, and Dos Pinos was granted permission to export milk powder. Executive Director of the Costa Rican Cattle Corporation (CORFOGA) Luis Diego Obando Espinach said they are pleased with the approval. “Traditionally Costa Rican beef products were mostly sold to the U.S. and Puerto Rico, and any opportunity for diversification is always good news,” he said. El Salvador, Mexico and Guatemala are the next major buyers of Tico meat, according to CORFOGA data. “The Russian market is large, it offers good prices and I believe that our meat will find a good niche considering its high quality and has other characteristics such as low fat levels obtained through good farming practices and good pasture selection,” Obando said. National Livestock Survey figures in 2013 stated that 1.8 million hectares were dedicated to cattle farming in a total of 45,780 farms. That accounts for some 1.57 million head of cattle in the country. The main source of profit for local producers in recent years however has been the increase in prices. In 2004, a ton of meat was sold at $2,200; in 2013 the export price reached $4,100, meaning revenues in those 10 years grew by 88.1 percent, while the quantity of exported meat rose by just 2.9 percent, according to the National Livestock Survey. Foreign Trade Ministry data indicate that Costa Rican beef exports in 2012 totaled $51 million.